Customs officers have seized a container containing medical supplies and other items shortly after some of the goods were ceremoniously handed over to Government. 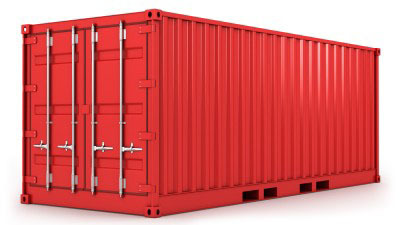 Press Secretary, Kisha Alexander–Grant said that the Customs officers repossessed the container to clear up the ownership of the goods contained, because it had become clear to Government officials present at the handing over that although the container was sent to the Ministry, some of the items were not for the Ministry. The container was shipped from Switzerland to the Ministry of Health in Grenada as a gift from Mr Chester Simon — a Grenadian living in Switzerland who began raising donations and other gifts for the island’s healthcare system since the aftermath of Hurricane Ivan. “Government does appreciate the kind gesture from Mr Simon, but there were things in the container that were not assigned to the Ministry and this has to be cleared up, because if these items should be subjected to customs duties, we need to abide by the law,” Alexander–Grant explained. Some of the items in the container that were not assigned to the ministry included a vehicle; laptop computers, writing pads, stationery, musical instruments and amplified equipment. Simon said that what he finds strange with the situation is that Customs only came and sealed the container after most of the things assigned to the ministry were removed. “This is not the first time I am sending a container — this is my fifth since Hurricane Ivan, so I am very acquainted with the process,” he said. Explaining the monetary value of the goods in the container is more than EC$250,000 Simon said that items were gifts from other groups or individuals. Simon expressed his concern with action of the Customs officials and said that it’s a misunderstanding because of what was written on the Bill of Lading. “I do have some personal effects items in the container, and the mistake I made was to say special effects instead of personal effects,” he said. “Items that are not for the Ministry of Health are normally donated to kids and elderly persons that I will give personally,” he said, while admitting that musical instruments are for young people interested in music,” he said. “I used to be a professional musician. My brother “Broko” was one of the best saxophone players in the island, so I had some of these instruments just lying around, and I decided to give it as gifts, so the container had more than medical supplies,” he explained. Simon had a meeting with Health officials and Customs officials on Wednesday with a view to resolving the issue. He is confident that the matter will be resolved on Monday when the container is opened and checked. “If I have to pay for anything, I will just pay,” he said.